David Hazeltine is a testament to good taste. 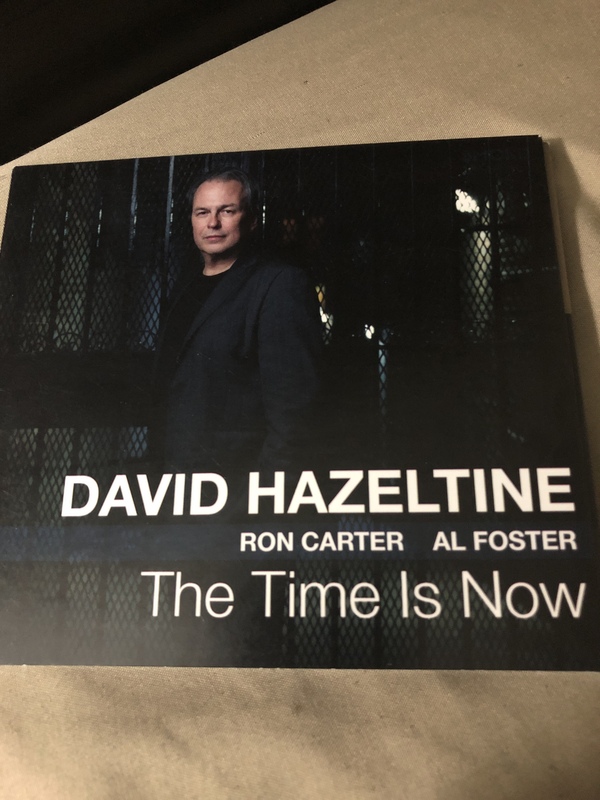 With his latest album, The Time is Now, Hazeltine manages to evoke memories of the best 60s post-bop while maintaining and displaying his own voice on the piano. Comparisons to other keyboardists of that era are completely unnecessary. It would be a lie to say Hazeltine’s rhythm section of bassist Ron Carter and drummer Al Foster (both Miles Davis alums) didn’t go a long way toward this album’s exploration. You might show up for the rhythm section, but you’ll stay for the band’s overall quality and skill set. The group’s overall tone rarely rises above that of a casual conversation, perfect for this selection of originals, standards, and a semi-surprising pop tune. Hazeltine takes the band through strides that make each song his own while maintaining the familiarity of the tune at hand, the true mark of a jazz musician. This is not to downplay Hazeltine’s originals. The fiery (yet still slightly understated) “Signals” is probably the highlight of a rather impressive batch of original compositions. Of particular enjoyment is Foster’s drum solo, a rare occurrence on this album. It would be easy for both the drummer and Carter to flex their legendary jazz muscles. Instead, they choose to support their leader with grace and class, taking nothing away from the piano’s warm tone. Anyone who has been on the fence or unaware of David Hazeltine would do well to heed the album’s title. The time, indeed, is now for a deep examination of a talented musician. Want to have your album reviewed? Email me at cirdecsongs@gmail.com for consideration.